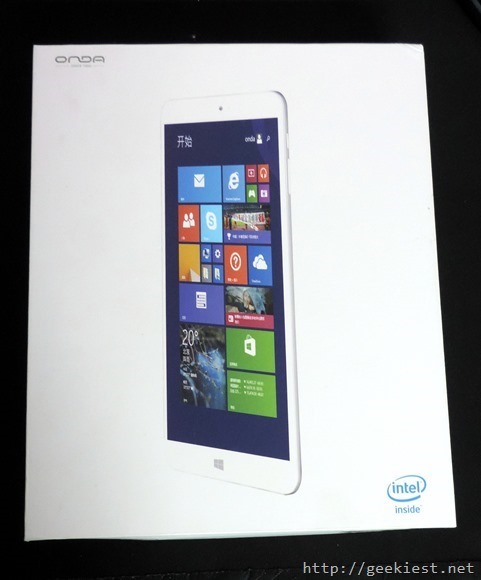 Onda V820W is a cool dual OS tablet. 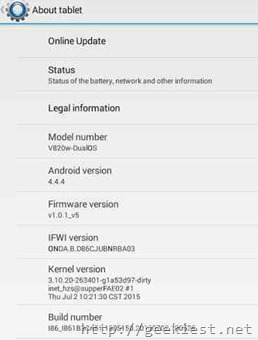 It have Android 4.4 and Windows 10. Remember the Windows version used on this device is not the phone version, it is Windows 10 home edition, that is you will have a Android tablet and also a Windows Tablet PC where you can install application just like you do it on your desktop PC. This may be one of the cheapest tablet available in the market with Dual OS. Camera : 2MP camera at Front and back. This tablet runs on Android 4.4 and using Onda launcher as the default launcher. If you want you can use custom launchers like Apex, Nova, Google launcher etc. depending on your choice. 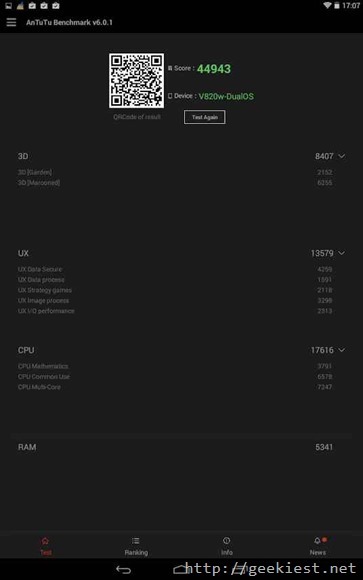 You can see the Antutu benchmark scores below which is not a good score, but considering the price you pay for this tablet you will get what you pay for. 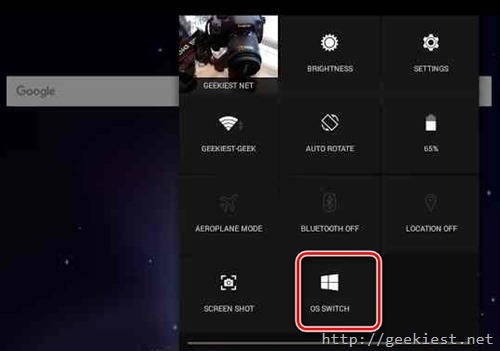 You can easily switch from Android to Windows 10, just pull down the status bar and select OS switch. It is running Windows 10 Home 32 bit version with a touch support with 10 touch points (Windows 10 is Free for any device which have a screen size less than 9 inch). It comes with a genuine windows 10 pre activated. I just tried to connect my wireless keyboard and mouse to the device via OTG and I must say it is working fine. 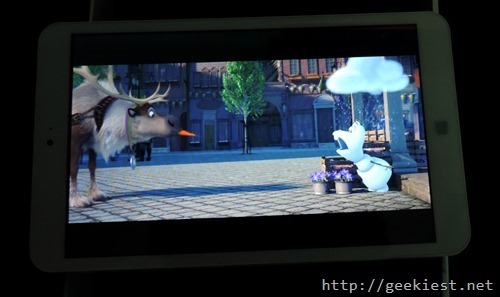 Audio – The mono speaker at the back bottom side is not loud enough, but still you can manage watching movies on the tablet with out much issues. When considering Listening music, it may not be loud enough. Video - I was able to watch videos with out much issues and I must say at high brightness it is ok. The device came on a small box which included the tablet, some user manuals, and a charging cable. Onda V820W have a plastic case and non removable battery. Have Charging, HDMI and 3.5mm Audio jack on the top and power button and volume rockers on the right side. It comes with lot of applications pre installed and most of them are in Chinese. If you are outside China, you may need to remove those apps. This is not a powerful tablet, but for the price you pay you will get a tablet which you can use for basic operations like watching movies, browsing, checking emails, making internet phone calls etc. 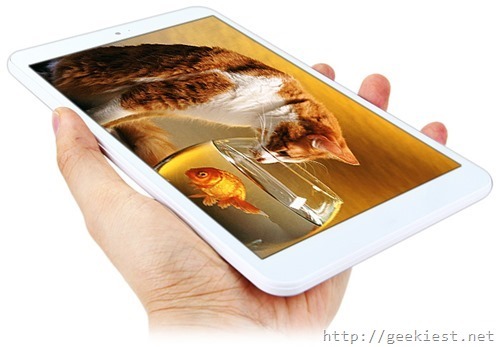 Onda V820W is an 8 inch tablet which support dual OS.